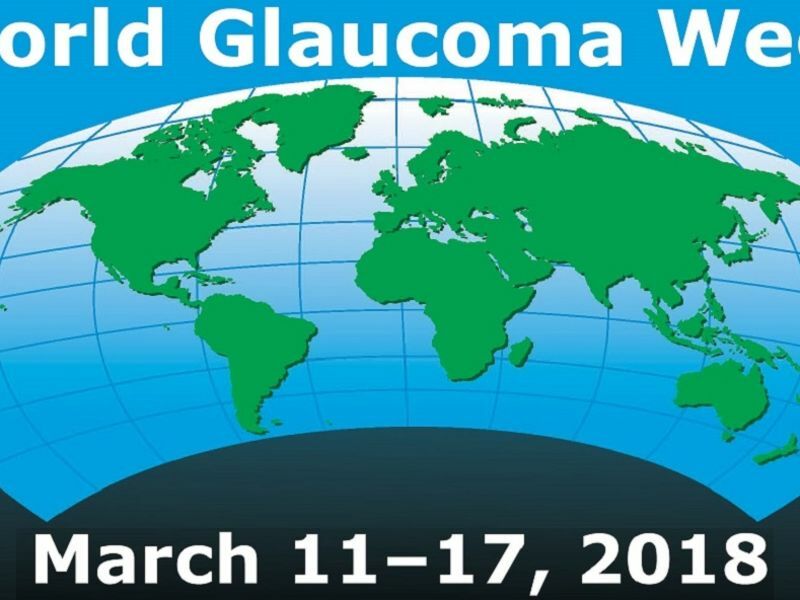 Glaucoma is a major global condition. By 2020 more than 76 million people will develop the disease, and 11 million or more will be blinded by it. Even in the UK alone, around 2% of over 40 year olds have glaucoma. Despite its devastating effects, its symptoms can be difficult to detect without specialist equipment. Unfortunately, any loss of vision caused by glaucoma is irreversible – but it is easily preventable. That’s the message of World Glaucoma Week, which takes place this week from 11 to 17 March 2018. The event, jointly run by the World Glaucoma Association and the World Glaucoma Patient Association, aims to draw attention to glaucoma, a disease dubbed ‘the silent thief of sight’. Glaucoma is a group of diseases that, if left untreated, can lead to blindness. The condition affects your optic nerve (the nerve that sends signals from your eye to the brain), usually as a result of increased pressure in your eye. Glaucoma symptoms are difficult to spot, and indeed the majority of glaucoma cases are asymptomatic - so the sufferer would have no idea they have glaucoma until they have lost a significant amount of vision. They develop very slowly over time, initially affecting the edges of your vision. What could increase the risk of your developing glaucoma? Age. Glaucoma becomes more common as you get older. Ethnicity. If you’re African, Caribbean or Asian, you have a higher risk of suffering from glaucoma. Genetics. Do you have a relative with glaucoma? You might be at higher risk. Related conditions. If you suffer from other related conditions – short-sightedness, long-sightedness or diabetes – you are at higher risk. Glaucoma is a serious condition, but there are treatments available that can stop any further vision loss and even completely prevent vision loss if caught early. Eye drops can be used to reduce pressure in the eye. If required, laser treatment can unblock the drainage channels and reduce the fluid build-up. Surgery is also an option to improve fluid drainage. If you’re already attending eye tests regularly then you’re doing the right thing. Glaucoma tests are all part and parcel of a Leightons eye test, so we can spot glaucoma before visible symptoms even occur. We even have an OCT in every branch which is the pinnacle of glaucoma detecting technology. The tests themselves are quick and painless, and include an eye pressure test (tonometry), a visual field test and an optic nerve assessment. Regular eye tests are essential for good all-round eye care. It could be time to book your next eye test. Contact your local Leightons opticians to arrange your eye appointment, either online or by calling 0800 40 20 20.